A long-term Australian asthma study has found a way to halve the rates of asthma attacks in pregnant women who suffer from the condition, while also paving the way for asthma prevention in their children. By giving pregnant women a simple breath test to monitor how their asthma should be managed during pregnancy, the researchers from The University of Newcastle have made the life-changing discovery. “What we tested was a strategy where we measured lung inflammation, using a simple breath test, and we used the results of the breath test to determine how much medication the woman should be using and we adjusted her medication each month,” said Vanessa Murphy, one of the study’s key researchers. “What we found was this approach significantly reduced the rate of asthma attacks in pregnancy by half. The research has been published in the Journal of Allergy and Clinical Immunology and will have a big impact on how the condition is treated not only during pregnancy but in children who are also sufferers. While this news is big for pregnant women who are asthma suffers, it also has wider implications for their offspring. “What we’ve done in this study is followed up the children when they were four to six years old, and looked at how many of them had asthma and we find again, almost a 50 per cent reduction in doctor-diagnosed asthma in pre-school aged children,” said Dr Murphy. 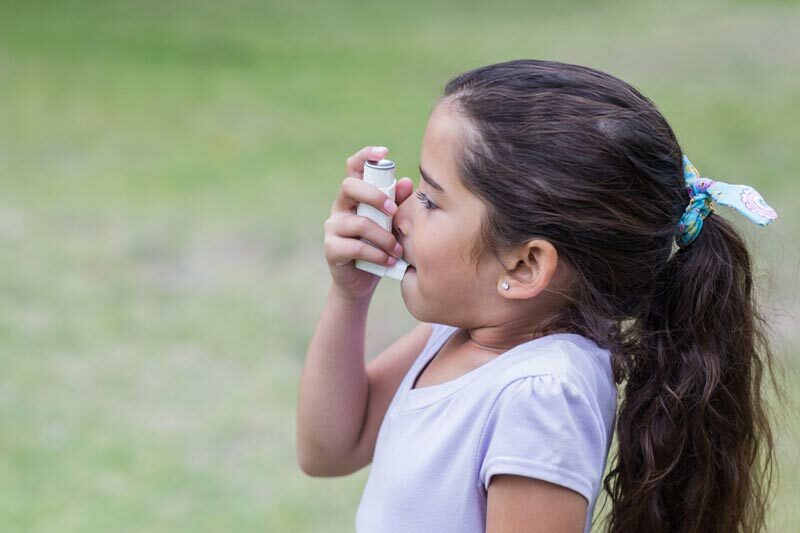 The study also found that for those children who did develop asthma, they presented less often to emergency departments for asthma attacks and needed less medication to relieve their symptoms. The researchers at the Hunter Medical Research Institute and the University of Newcastle made the life-changing finding when conducting an asthma management trial over several years. With two groups of expectant mothers suffering from asthma, they gave one group a traditional asthma management plan where expectant mums were medicated based on their symptoms, such as coughing or wheezing and the other the breath test monitor and then medicate approach. The discovery is life-changing because asthma during pregnancy can be harmful to both mum and baby. “Asthma in pregnancy affects around 10–12 per cent of pregnant women in Australia,” said Dr Murphy. Asthma kills 400 people and causes 37,000 hospitalisations a year in Australia alone, with children aged up to 14 being hospitalised at a significantly higher rate. With such high numbers, the researchers believe these findings could have profound implications. “To see such a clear and robust and impressive effect, I have to say was obviously a nice surprise,” said study researcher Joerg Mattes, from the John Hunter Children’s Hospital.